Three years after the end of the war, archaeologists are hard at work in the country’s Eastern province. Teams from the Department of Archaeology have been exploring areas that were previously inaccessible for decades due to fighting. As these excavations are taking place, controversies regarding the history of these areas and who exactly arrived first are once again starting to arise. Some historians and archaeologists claim that there were a large number of Buddhist temples in the region which were subsequently destroyed by invading armies from South India, whose leaders built Hindu temples on top of the ruins of the Buddhist places of worship. This claim is in turn disputed by others, who say that Hinduism in the region predates Buddhism by centuries. According to some, it was the destructive tsunami of 2004 which first ‘revealed’ archaeological evidence on a mass scale that there were many Buddhist ruins in the region. Jayalath Kulasinghe, Exploration Officer at the Department of Archaeology claims the tsunami exposed many Buddhist archaeological ruins in the region. He adds that with the war having concluded, conservation efforts are underway to help preserve these sites. However, he claims efforts are being hindered by certain elements who wish to hide the ‘truth’ about the history of Buddhism in the region. Venerable Ellawala Medhananda Thera, who has been involved in investigating ancient Buddhist ruins throughout the island for decades, disputed Kulasinghe’s claim that it was the tsunami which revealed clues about Buddhist heritage in the region. “On the contrary, clues regarding the existence of Buddhist places of worship in this region were present long before the tsunami. The Department of Archaeology didn’t explore the region much for decades due to the war. But I have been involved in such investigations for 45 years, and those like me were able to find such places long before the tsunami,” he said. Medhananda Thera said for example, archaeological sites such as the ‘Muhudhu Maha Viharaya’, ‘Shashthrawela’, ‘Kuchchaweli’, ‘Sangaman Kanda’, were just some locations in the East that bore evidence of Buddhist heritage in the region that stretched back thousands of years. The Thera went so far as to claim that “99.99 percent” of archaeological sites in the region were Buddhist. However, he said many of these sites are currently under threat from different quarters. “Sections of the Muhudhu Maha Viharaya are being destroyed due to them being exposed to sea water. Meanwhile, treasure hunters have been at work in some other places,” he said. He added some people were also in the habit of destroying ancient ruins located on their land so as to prevent the Department of Archaeology from excavating these sites. The Thera also claimed certain persons were involved in attempting to destroy Buddhist archaeological sites in the region. “For example, there is a place called Kathiraveli, between Eravur and Seruwila, where you find a Buddhist archaeological site with an ancient stone inscription which we haven’t deciphered yet. When the LTTE was in control of the area, they actually had a camp there. A few weeks ago, we found out that someone had built a structure resembling a church on the site. Yet, the Archaeology Department had no idea about it till we informed them,” he claimed. Medhananda Thera said he was deeply disturbed by the regularity of such sites being destroyed. “I visited a site called Karangawa in Pothuvil recently and found a 40 foot deep pit right in the middle of it. There was evidence that treasure hunters had spent weeks living at the site while digging for treasure. They were clearly allowed to continue unimpeded,” he lamented. The Thera went onto add that there were over 10,000 archaeological sites in the Eastern province alone, most of them being Buddhist, and that “less than 1,000” have been clearly identified. “The authorities need to do far more to ensure that such sites are protected for future generations. If you’re an archaeologist, you can’t simply work for your salary. You need to treat it as a responsibility. No one pays me a salary for doing this, yet I’ve been engaged in this duty for 45 years. I wish more people will treat it as a responsibility rather than just a job,” he said. While efforts are underway to identify and preserve archaeological sites in the East, debate also rages regarding the history of some prominent religious sites in the region. The Koneswaram Hindu Temple in Trincomalee is one such location whose history is under debate. 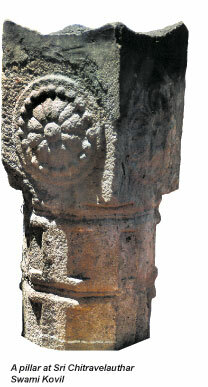 Jayalath Kulasinghe of the Department of Archaeology claims Sun worship, probably one of the oldest forms of worship in the world, took place at two prominent locations on the island, namely Adam’s Peak (Sripada) and Trincomalee, near the site where the Koneswaram Temple now stands. “Historical records indicate that a Jaina temple had been built at this spot and that in the 5th Century AD, King Mahasen destroyed it and built a Buddhist temple there,” he claimed. Ven. 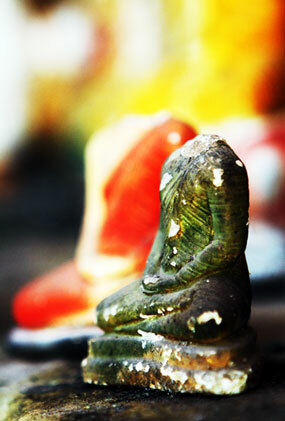 Ellawala Medhananda Thera said that a Buddhist temple named “Gokanna Viharaya”, built by King Mahasen, was located at the site where the Koneswaram temple now stands. “However, invading armies from South India destroyed this temple, and built a Hindu kovil on top of it,” he claimed. He added a stone inscription found at the site and written in Sanskrit confirmed the existence of a Buddhist temple at Koneswaram site. However, Ramachandran Gangatharan, Office Manager at the Koneswaram temple in Trincomalee claimed they have no record of the existence of a Buddhist temple at the site. He added there were records indicating the Hindu kovil at the site had been in existence since the 7th Century. “But its existence is even mentioned in the Ramayana, so clearly it had been there for far longer,” he said. Paranjothypillai Parameshwaram, President of the Temple’s Administrative Board, claimed Koneswaram had been a place of worship for around 28,000 years. “The Koneshwaram Hindu temple was known as the ‘1000 pillar temple’. However, the Portuguese ransacked the temple and razed it to the ground after looting its treasures. It was only rebuilt in the 1950s,” he said. Gangatharan and Parameshwaram said claims of a Buddhist temple being built at the site were recently brought forward by various sections, but that there was no record of such a temple.